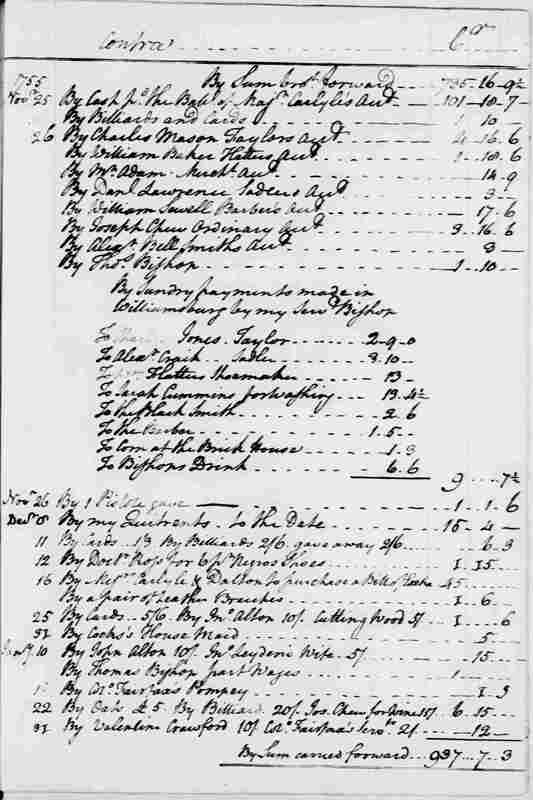 By Messrs Carlyle & Dalton to purchase a Bill of Excha. By Cards 5/6. By Jno. Alton 10/. Cutting Wood 5/. By John Alton 10/. Jno. Leyden's Wife 5/. By Oats £5. By Billiards 20/. Jos. Chew for Wine 15/. By Valentine Crawford 10/. 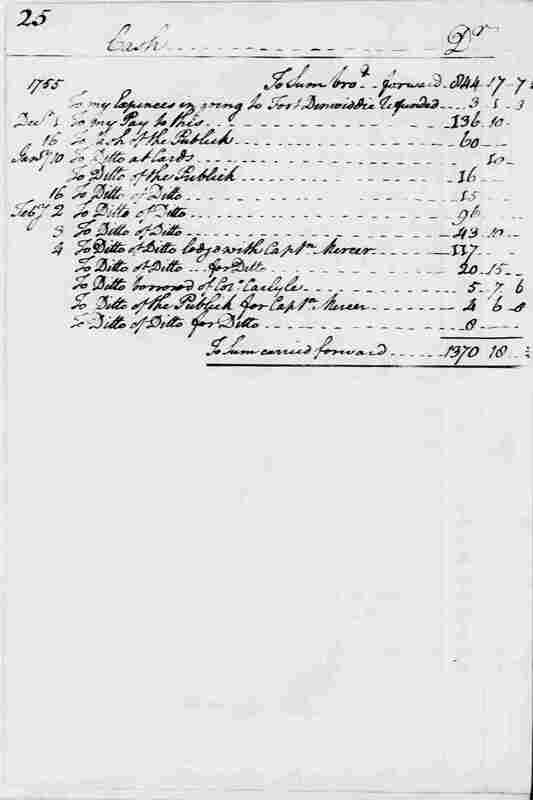 Colo. Fairfax's Servts 2/.